History was an important element of Roman Republican culture, as revealed by the numerous historical accounts and panegyrics written during this period. Roman patrons also exploited the visual arts to convey messages about history whose immediacy no text could rival. 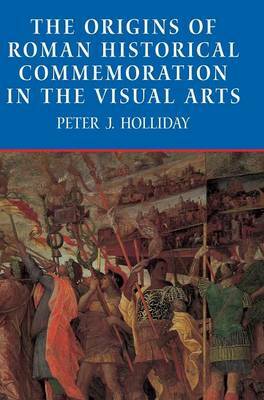 In this study, Peter Holliday explores the development of Roman history painting in an effort to broaden our understanding of the ways in which Roman commemorative art constructed a narrative for the ancient viewer. Providing a survey of this subject that takes into account recent archaeological discoveries and theoretical debates, he also considers how style worked in tandem with narrative and had political significance. Holliday's study sharpens our understanding of the kinds of narrative that the Roman elite wished to convey through images, and what these images tell us about their achievements and the Republic that they served.